We are currently selling our Learn To Solder Kit shown below and other items on Tindie. Also check out our guides on Teachers Pay Teachers. 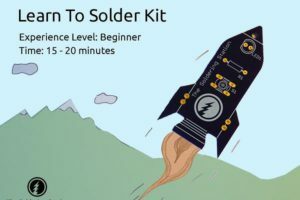 Already have a Learn To Solder Kit but need the directions?